How To Transfer Contacts From iPhone To Android: One day when I see everyone switch iPhone to Android, I also think about it and guess what, I buy MI Note4 in the year 2017. Now I want to transfer my everything from my iPhone to MI. Everything successfully transferred but one and only I unable to transfer was my contacts. So, I start finding for the solution but that time I did not get the proper solution for my problem, so I contact iPhone help center & then I got the right solution for my problem. 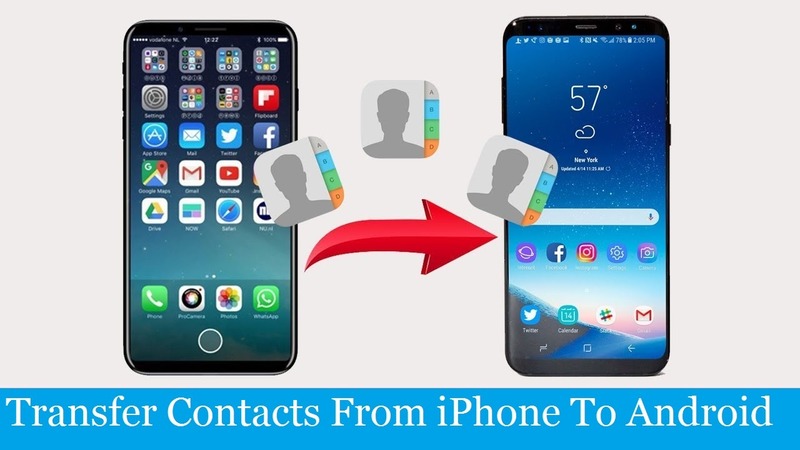 So today I going share that particular solution of “How To Transfer Contacts From iPhone To Android” with some different solutions also. You may choose what perfect for you. 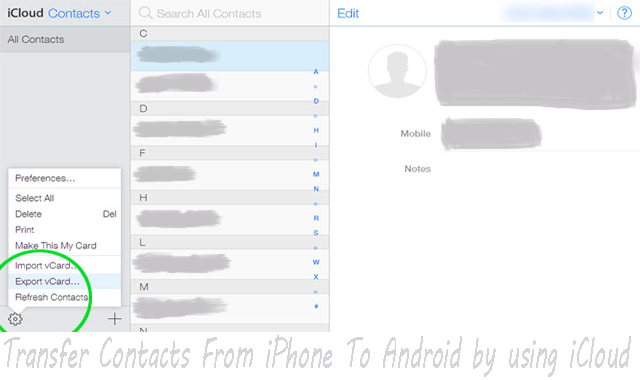 1) How To Transfer Contacts From iPhone To Android by using your Google Account? So when the question come about android, who’s better than google? The simple and easiest way to Transfer Contacts From iPhone To Android by using your Google Account. Through Google synchronization process you can transfer your data from iPhone To Android. i) You just need to Login into your Google account first on your iPhone, hope everyone has a google account if not then first create one. ii) Now, Tap on Settings >> you find Mail, Contacts, Calendars, and add the Google account there. iii) When it asking you to allow which things you want to sync, make sure you select Contacts and then click on sync. iv) It takes a while. Congratulation, now your contacts list is in your Google account. Now, you can simply log in with the same google account on your Android device. All done. Apple gives you iCloud to Transfer Contacts From iPhone To Android. 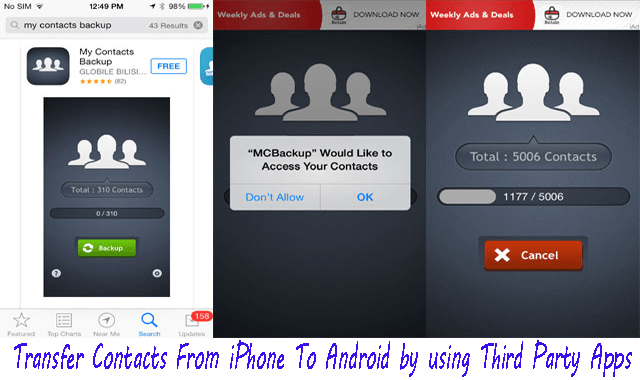 How To Transfer Contacts From iPhone To Android through iCloud? Follow this simple steps. ii) You will find Mail, Contacts, Calendars, and then select ‘iCloud’ from the account options. iii) To sync your contacts with the cloud account now select contacts. After done this 3 steps, now the time to open your desktop/laptop. iv) Open icloud.com on your desktop/laptop’s web browser and log in with your Apple ID. v) After login, select Contacts >> then All Contacts. vi) Now click the gear icon at the bottom of the page and click on Export vCard. 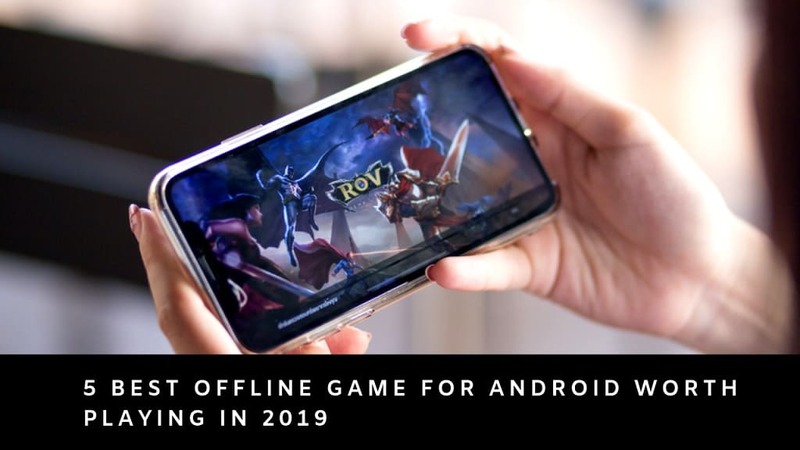 So, after complete the above steps, you successfully create a VCF file on your desktop/laptop which is ready to import into your Android phone. 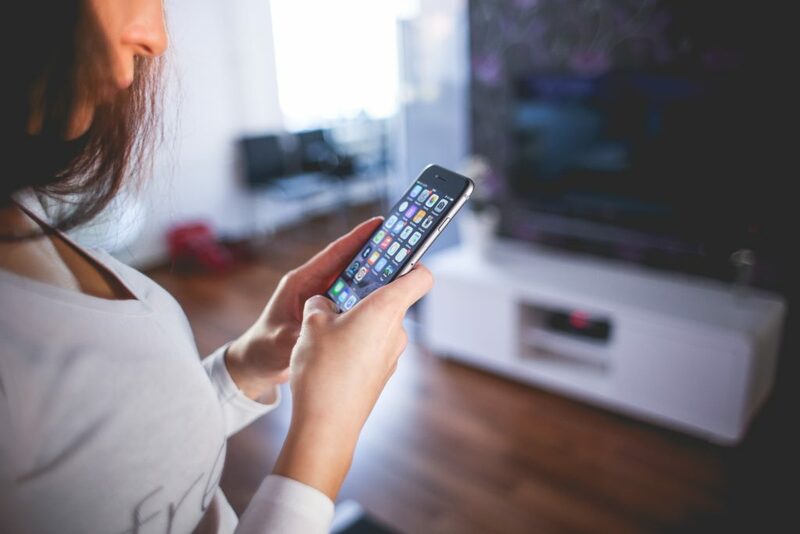 Using Third Party Apps you can also Transfer Contacts From iPhone To Android. Before that, make sure you choose an app that is available for both iOS and Android. Or you can choose My Contacts Backup app which helps for this procedure. So, you don’t need your computer for this process. Download the app on your iPhone. Now launch the app. When MCBackup asks for permission to access your contacts, tap ok. Select email, attach the VCF file to an email. Now send it to your Gmail account. Then download the VCF file and import your contacts into your android device. See, there is another option to Transfer Contacts From iPhone To Android. Through iTunes, you can also transfer your contacts, If your contacts are stored locally. First, if you have not iTunes app then go Download it and launch it. Now connect your iPhone to the desktop/laptop. Then open the handset’s device summary page. And then select “Google Contacts”. So, now type your Google account’s username and password. Make sure, you connect your Android device to the particular Gmail account. Allow Google to sync your contacts. Similarly, if you want to transfer specific contacts only, you can use the Share Contact option. ii) Select the contact you want to move. 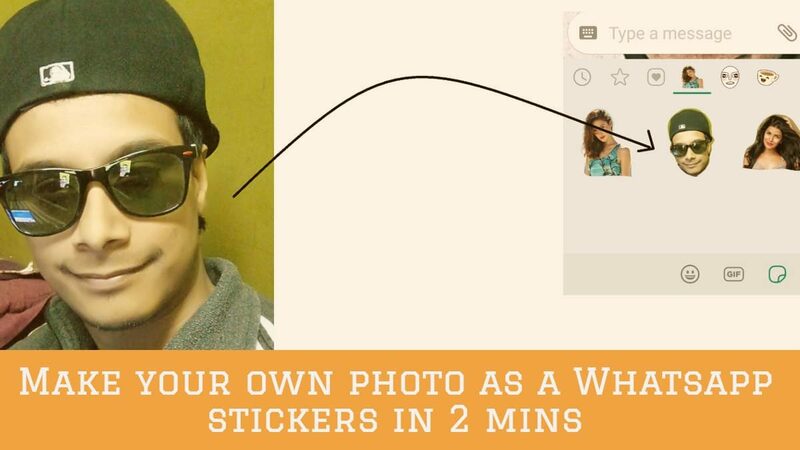 iii) Swipe down and select the tab, so you find two options i) share it via e-mail or ii) share it via text. iv) Now choose where you want to share & share it. This method only for specific contact transfer. Hope this article helps you to solve your question How To Transfer Contacts From iPhone To Android device. You can choose any method we discuss above. Feel free to give your opinion in the comment section so we will get inspired to write more article like this. If you facing any other problem like this you may tell us in the comment section, we will try our best to solve your problem.